One disease, commonly known as St. Anthony's fire, is caused by the consumption of ergot. It got it's name from a hospital in Vienna (founded in 1100), whose patron was Saint Anthony because they became a pilgrimage center for those afflicted with ergot. As we know, ergot is a vasoconstrictor, but with constant and prolonged exposure to this fungus causes it to be extreme. It can severely limit blood flow to the extremities, resulting in symptoms that vary from shedding one's nails to losing one's limbs! As the disease progresses, many experience extremely painful feelings of intense heat in the limbs, thus why it was called the "Holy Fire." Several weeks after this, the limbs would simply dry up, turn black, and fall off without any pain, but I've read that the stench of rotting flesh was terrible. This disease was most prevalent west of the Rhine River in France for reasons still unknown, but the first recorded outbreak was in Germany in 857 A.D. Many times poorer people were at a higher risk because they could not afford to discard the "dirty grain" and they also didn't know the risk they were putting themselves in every time they sat down to eat bread made with this grain. 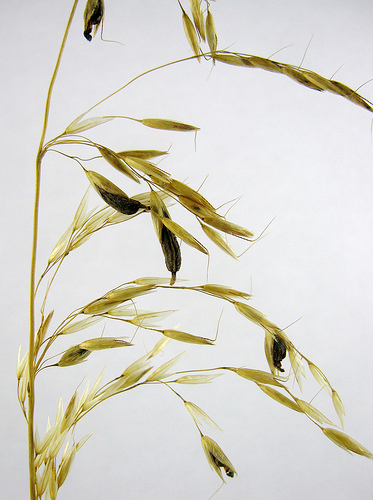 Also, ergot was most common when a harsh winter followed a cool, wet spring because many people would exhaust their food supply and eat the ergot infected grain. I also found it very interesting that many of the depictions of Saint Anthony in the churches often have his followers missing limbs or with burning limbs. Saint Anthony's Fire is also known as gangrenous ergotism, which also can (and does) affect livestock and cattle. They exhibit similar characteristics and will sometimes also lose their ears or limbs, as in the picture. Scary. Eating bread that was made with infected grain can give you gangrenous ergotism, like we saw above, but that is not the only possible side effect. It is also possible that humans and animals may experience convulsive ergotism. The symptoms of this strain range from vomiting, diarrhea, and general lethargy to a sensation of ants crawling all over the body, vivid hallucinations, twitching, epilepsy-like seizures, blindness, deafness and death. The reason one experiences this is because of the ergot alkaloids ergine and lysergic acid. Well, now you are probably asking how one fungus can cause these two different diseases when ingested in the same way. Well, the answer is in the fungus' genes. Convulsive and gangrenous ergotism are both caused by slightly different strains of the fungus. I thought of it like getting a cold, some strains give you a runny nose and others, a stomach ache. The Salem Witch Trials (1691) and many others that took place in Europe all seem to be pretty consistent with the symptoms of ergotism. Many of the accused were adolescents, and teenagers are some of the most susceptible to the disease. All of the symptoms that the people exhibited were those of ergot poisoning, such as vomiting, vertigo, sensations of things crawling on one's skin, and hallucinations. Also, the geographic location of the Salem was conducive to ergot growth, as were many of the other places that had witch trials in Europe. Another interesting thing I found in my research is that Ireland didn't have many witch trials. This is believed to be because their main food supply wasn't bread, but potatoes. While they may have escaped witch trials because of their potato diet, eating almost exclusively potatoes also had dire effects on their society because of this organism. 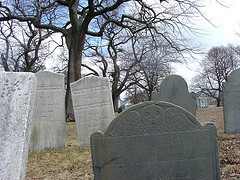 *For more on the Salem Witch Trials and other great info on this organism, check out this website! Claviceps purpurea has clearly made a footprint on human history, but one way to make sure to be remembered is to be associated with Greek mythology! The ancient Greeks had many temples that they would go to for various reasons, and one of them was the Temple of Eleusis. It was at this temple that "great mysteries" were revealed. In order for anyone to go to this temple, however, they needed to fast, rest and make other sacrifices. Yeah, that's all great, but how does ergot fit into all of this? Well, when they broke the fast, they did so by drinking Kykeon, a sacred PURPLE potion. It is believed that this was derived from Claviceps purpurea and that the ergot alkaloids caused the terrors, hallucinations, tremors and sweats the reoccur in descriptions of pilgrimages to this temple. 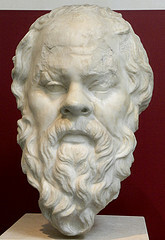 This attracted the interests of Socrates, Plato, Sophocles, Euripides and Homer. This made me question if the effects of LSD played a role in shaping the visions of some of the greatest philosophers in human history. Crazy! 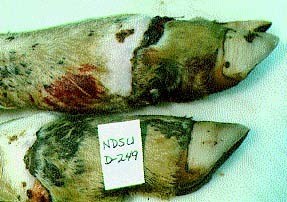 For more history of this fungus, check out this great website! If you thought this website was the coolest ever and want to learn more about the person who made it, go on to the ABOUT ME page! :) If not check out the HOME page again!